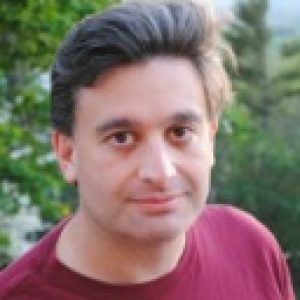 Is Car Cane Really Useful? Elderly people and those, who take care of them, know that sometimes getting in and out of car can turn into a real challenge due to feeble muscles and aching bones. As a result, it may take a while to get into a car and leave it even if some help is provided. Moreover, people with disabilities often face identical problems. However, we are confident that senior age or any disability isn’t the reason to refrain from trips in cars. Moreover, car journeys can be much easier and more comfortable with portable handles, created specifically for such cases. Car door assist handles are able to assist elderly people in entering and exiting a vehicle. They are usually portable, but very often people prefer to fix them to the car enduringly. And now, we are going to share 5 high quality and, simultaneously, affordable assist handles, which will make every elderly or disabled man’s/woman’s life a bit easier. Auto Assist Grab Bar by Able Life, serving as a support handle and standing aid, is suitable for all types of cars. Its major plus is that a vehicle doesn’t need to be subjected to any modifications or changes. 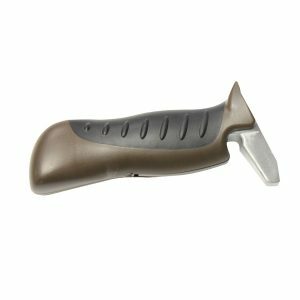 Being inserted into a door striker and located parallel to the vehicle for convenience and better leverage, this handle provides great assistance to enter and exit the car. You simply need to hold it while lifting up or sitting down. This bar can hold up to 300 pounds, making no damage to the automobile. Besides, the assist grab bar contains a secret key compartment to place an additional key plus an imbedded ice scraper. This tool will be a real godsend to anyone, who uses a bed rail, walker, walking stick, security pole or any other person, feeling lack of mobility. However, before acquiring this tool, make certain that your car features a door striker/latch with 2 bolts/screws, fixing the striker on the door. This portable handle will not go with a car, which has a door bolt instead of a latch. Emson Portable Car Handle is a car cane, contributing to your stabilization while sitting down and getting out of vehicle. Suiting ergonomic norms and having non-slip surface plus forged aluminum inner part, this handle can withstand 350 pounds. Moreover, it’s portable and can be stored even in a door console or glove box. Besides serving for leverage while getting in and out of vehicles, Emson handle may perform the function of a window breaker or a seat belt cutter if necessary. The handle employs 2 CR2 batteries. It’s placed into the door latches and doesn’t move if you press it with all your weight. This item may make your life really more comfortable. By just opening your door and snapping on the handle, you will enter and exit any car with no troubles. Moreover, there is no need to fix it to the vehicle enduringly. This portable handle was specifically designed for elderly and disabled people, who have troubles with mobility. Having non-slip and soft structure, this tool provides much assistance while getting in and out of car. Providing extra leverage, it can be employed for any vehicle and has the weight capacity of 350 pounds. It can be utilized for driver as well as passenger doors. Besides, it’s equipped with Suitable Crowd and Automotive EscapeTool functions. The latter helps to break a window or cut seat belt in the worst extremity. To use this car cane, it’s necessary to find a U-shape door striker and locate tip of handle in striker perpendicular to automobile. Nothing else is required. 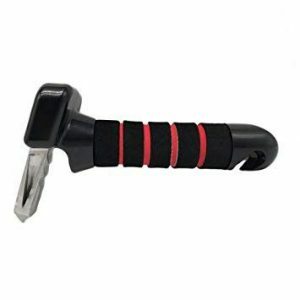 Like two previous items, Stander HandyBar handle will also make the process of getting in and out of car much simpler. Being applicable for every type of automobile, it’s slipped into the door striker/latch while sitting or standing, providing great support plus preventing from falling. Besides, it’s a solution for some other problems you can face as it can serve as window breaker and seat belt cutter. 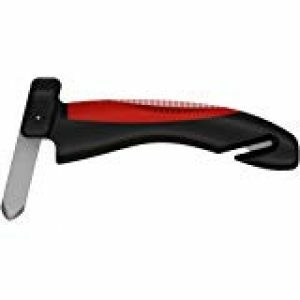 Being made of aviation aluminum, this tool is very durable and is able to withstand 350 pounds. Being rather affordable, Stander HandyBar keeps a 100% lifetime money back satisfaction guarantee. Prior to buying it, pay attention if your car has a door striker/latch with 2 bolts/screws, securing the striker to the door. This tool won’t suit your car if it features a door striker bolt instead. Moreover, be careful if a light switch is placed in door striker. HandyBar mustn’t prevent it from normal functioning. This two-handed car cane with non-slip surface, placed in a door latch, will provide you with extra stability while entering and exiting the car. No matter if you have an injury, weak muscles or just afraid of slipping on icy winter weather, this portable handle will be of use for you. As it’s rather small, it can be stored in a door console or glove box. Moreover, it features a handy light. After providing help in standing or sitting, this handle can be easily unlocked. Being also available in Deluxe modification, it keeps a seatbelt cutter and hammer to break a window in the worst extremity. Having a design, resembling a handle of a cane, Car Cane is made of forged steel and keeps a red grip. In order to feel its benefits, you need to slip it in the door latch when your car door is open. Then, grab the handle and press it down while entering or exiting the car. The handle can bear the weight of up to 350 pounds and can be applied for all kinds of vehicles from compact to large SUVs. After being used, a handle can be stored in a door console or glove box. Besides serving as a handle, Car Cane is equipped with a bright flashlight, which can operate for 100,000 hours. However, there is no precise information about the light brightness in watts and if any batteries are required. 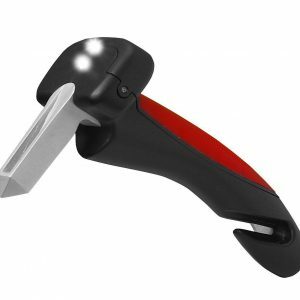 Additionally, a portable car handle features a notch, which can be utilized for cutting the seatbelt or breaking the window glass in the worst extremity. Car Cane is really great thing for elderly people as well as disabled ones or people with serious injuries. As such people may face many inconveniences while getting in and out of car and often need help of other people, Car Cane is a useful tool, which can help to get rid of all the troubles while entering and exiting the car. Almost all items for sale are applicable for every type of car and can bear up to 300-350 pounds. And that turns them into universal instruments, which don’t demand any special skills for be attached to the car door and don’t occupy a lot of place while being stored. In a nutshell, a car door assist handle has many benefits. It provides real support and is an indispensable assistant for people with lack of mobility. Additionally, many portable handles have some extra functions. 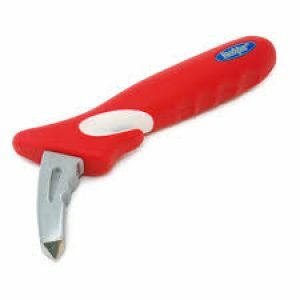 Thus, they often serve as seatbelt cutters or window breakers for emergency cases. Or, some items even feature flashlight.